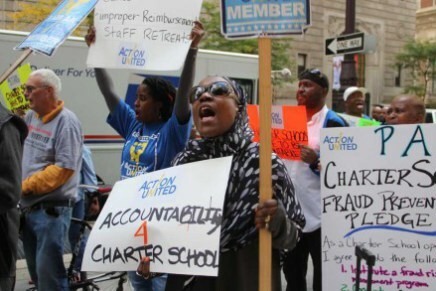 – The first three of 40 separate hearings in a second round of presentations on proposed new Philadelphia charter schools will take place Monday at School District headquarters, followed by 10 more days of hearings. Schedule posted in the link. – Former District Attorney Lynne Abraham is the early leader in the narrowing mayoral field, with a huge head start over her opponents in name recognition and a dawning realization in the political class that her campaign is very much for real. – Welcome to the new year, Comcast followers! It’s going to be a big one for the company. It will or won’t get its merger with Time Warner Cable approved; the FCC will or won’t impose new net neutrality rules that could affect the company’s plans for the digital future. 2015 is going to be meaningful. – A year after the Philadelphia Land Bank was signed into law, the first 17 parcels are being sold, signaling that the new quasi-government body is open for business. However, its merchandise still hasn’t arrived. – Even in the midst of the weekend’s wintry mix, an estimated 100 people turned out in Mt. Airy to raise their voices in support of the “Black Lives Matter” movement on Saturday. – A descendant of a Delaware man credited with helping more than 2,700 slaves reach freedom is asking Gov. Jack Markell to pardon his ancestor and two others.